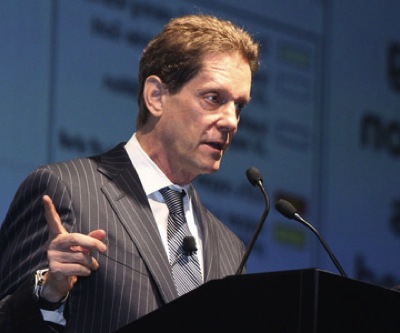 Africa-focused miner Ivanplats (TSX:IVP), founded by billionaire Robert Friedland, successfully closed Tuesday its $307-million initial public offering (IPO) on the Toronto stock exchange, issuing total equity of $504 million (Cdn$493). The amount, of which $307 million (Cdn$300) was for the IPO itself, includes the conversion of $193 million of pre-IPO bonds into class A common shares, said the company in a news release. "This marks the start of a new chapter in Ivanplats' unique, 18-year story of exploration persistence in Africa that has produced the discoveries of the world-scale Kamoa copper deposit and the Platreef platinum-palladium-gold-nickel-copper deposit in two of the world's foremost mineral provinces,” said CEO Friedland. The anticipated offering instantly became the largest Canadian mining IPO since Tahoe Resources Inc. (TSX:THO)(NYSE:TAHO) raised Cdn$348 million in its 2010 share sale. It also turned out to be the biggest global metals and mining IPO since Glencore sold $11 billion in May last year.Ivanplats shares sale comes five months after Friedland stepped down as chief executive officer of Ivanhoe Mines, now Turquoise Hill Resources, after Rio Tinto (LON:RIO) took control of the $6 billion Oyu Tolgoi project in Mongolia. The company has a platinum deposit in South Africa and two copper projects in the Democratic Republic of Congo. Shares of Canadian Ivanplats started trading Tuesday on the TSX, under the ticker ‘IVP’. Friedland, 62, sits at #546 on Forbes Billionaires list. Image: Friedland speaking at Mines and Money 2012.